A question I’m currently receiving on a weekly basis is ‘how many pictures will I be able to fit on this’ when a customer is referring to the size of memory card or USB Flash Drive. Understanding image resolution and size is important in this digital age and although the intricacies are incredibly complex, the basics are pretty easy to get to grip with. A pixel is a unit of programmable colour on a computers display and by combining many of them together we are able to create an image; the term resolution typically refers to the number of pixels that are used in this process. On the whole, the quality of the image will increase with a greater number of pixels as we are able to store a greater amount of detail. Resolutions are generally expressed in two different formats – either the pixel dimensions of the image are given or the total number of pixels used in its creation. Most digital cameras express their maximum resolution in terms of megapixels (millions of pixels) that can be used to create an image; an 8 mega pixel camera would be able to break a picture down in to 8 million pixels hence giving a higher resolution that a 5 mega pixel camera. 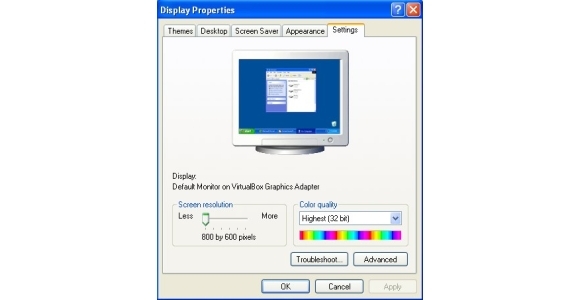 The resolution of a computer image on the other hand is usually expressed by giving the number of pixels present on a line and the number of lines used in the image. For example, an image measuring 1600 x 1200 would contain 1600 pixels per line and a total of 1200 lines giving a total of 1,920,000 pixels (1.92 mega pixels). As the image contains a greater number of horizontal than vertical pixels we can assume this picture would be landscape rather than portrait. How does Resolution affect File Size? The more pixels an image contains the larger the file is likely to be; this is due to the fact that storing information relating to 10 million pixels is liable to require more space than saving a lower resolution 1 million pixel image. Colour Depth – Along with the total number of pixels that constitute an image, we also have to consider the potential number of colours each pixel could be. If, for example you save your image as a ‘line art’ image where each pixel can be either black or white then the amount of data required to store this information is less than if you set a colour depth of ‘true colour’ where each pixel could be one of 16,777,216 potential colours. Compression – Many image formats, such as JPEG allow you to adjust the amount of compression that is utilised when saving the image. Compression can work in a number of different ways but ultimately it works to minimise the amount of data required to save the image. This is usually achieved by looking for areas of commonality (for example a shape or pattern) and saving the description of that area which the computer can then later reproduce when reloading the image rather than defining each individual pixel.